The Dashwoods have been forced out of their home and comfortable way of life after the patron of their family has died, and left everything to the son of his first marriage, John Dashwood. Though this takes Elinor Dashwood far from the man she secretly loves and is too practical to pursue, it casts her sister, Marianne, into the arms of the mysterious Mr. Willoughby. Marianne's infatuation with her "galiant preserver" causes her to cast aside the one man who truly loves her: Col. Brandon. Things are complicated further when both sisters find that the men they love are hiding large secrets, and that love itself is less sensible than it may seem.. Theory of Relativity follows a group of people with varying backgrounds and how their lives were interconnected. With fascinating characters such as; Mira, a girl with a troubled past who overcomes it with the help of her mother, Jenny and Sara, two friends who realize they would be friends 'til the End of the Line, and so much more! All of our lives are connected and we change each other on a daily basis. Remember, I Am Nothing Without You! 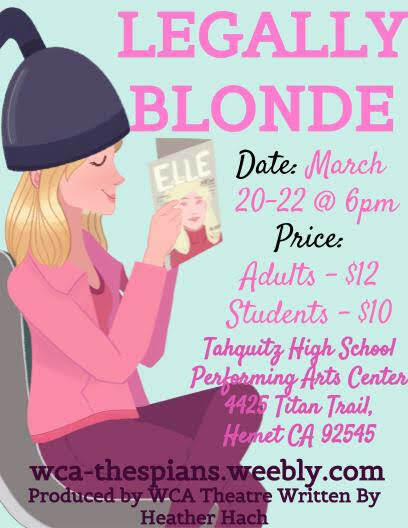 Legally Blonde demonstrates that you can accomplish anything you set your mind to. Elle Woods, President of the Delta Nu Sorority in UCLA, has her life flipped when her love, Warner, breaks up with her to go to Harvard Law School. With help from her friends, and her determination, she was able to transfer to Harvard Law School to prove to Warner she was Serious. Along the way, she meets Emmet Forrest and he helps her realize the only thing holding her back is Warner. With help from her new friends, Paulette and Brooke, and the Greek Chorus, she illustrates the power of being true to oneself and following your dreams! Meek flower shop assistant Seymour who pines for co-worker Audrey. During a total eclipse, he discovers an unusual plant he names Audrey II, which feeds only on human flesh and blood. The growing plant attracts a great deal of business for the previously struggling store. After Seymour feeds Audrey's boyfriend, Orin, to the plant after Orin's accidental death, he must come up with more bodies for the increasingly bloodthirsty plant. An American Twist on a Shakespearean classic. The tragic tale of two star-crossed lovers all inclusive with hoop skirts, war uniforms, and the perilous divide between North and South. The Western Center Thespian Troupe will be adding a World War Two twist to the classic Shakespearean play Much Ado About Nothing. Just as the title suggests, the comedy surrounds characters who who make mountains out of mole hills. 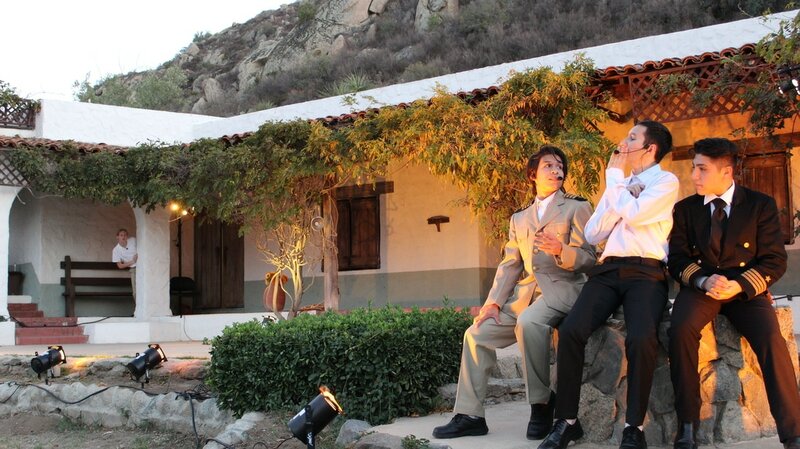 Our spectacular actors will illustrate a surprisingly modern story, evoking great laughs that you will never forget. Twelfth Night is a tale of disguse. It begins when the beautiful Viola washes ashore on the island of Illyria after she looses her brother in a ship wreck. In order get herself back on her feet, she must dress as a man and work under the lovestruck Duke Orsino. Soon a comical love triangle forms when Countess Oliva falls for Viola's disguise, Cesario, as she courts Oliva in the Duke's stead. Things can only get more complicated when you add Oliva's drunk uncle Sir Toby, his trusted sidekick Sir Andrew, an intellegent fool, a fake letter pened by Oliva's gentlewoman Maria, and Puritan Malvolio's yellow stockings. Full of laughter and fun Twelfth Night is a beautiful play garenteed to knock your socks off.